As a member of the MKT Inside Sales Team, Jed provides project proposals with complete scope while continuously engaging with customers. 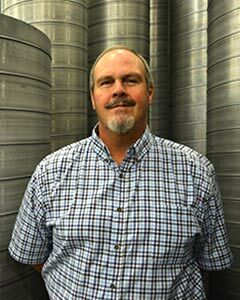 Jed has over 40 years in the sheet metal industry and has been a part of the MKT team since 2017. In his free time, Jed is an assistant swimming coach for the York County Special Olympics as well as the financial officer of the Pleasantville, post 799 American Legion, SAL. Jed also enjoys hunting and fishing!